No dangerous winches to use. 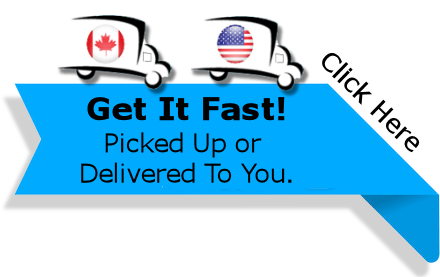 Adjusts easily with a removable hand crank. 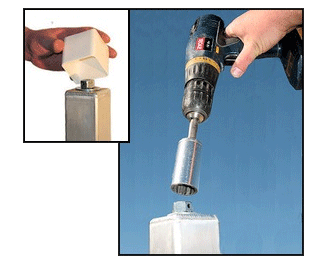 or use a cordless drill to adjust your dock height! Independent legs accommodate uneven ground. Adjustable up to 7 feet of water. All adjustments done from the top of the dock. No need to get in the cold water to install a V-Dock. Standard with all V-Dock Roll-In docks. 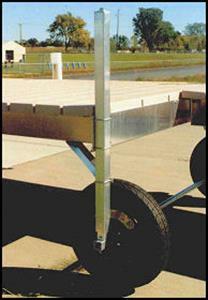 V-Dock has 5 Sizes of Screw Drive Legs to Accommodate Various Water Depths. 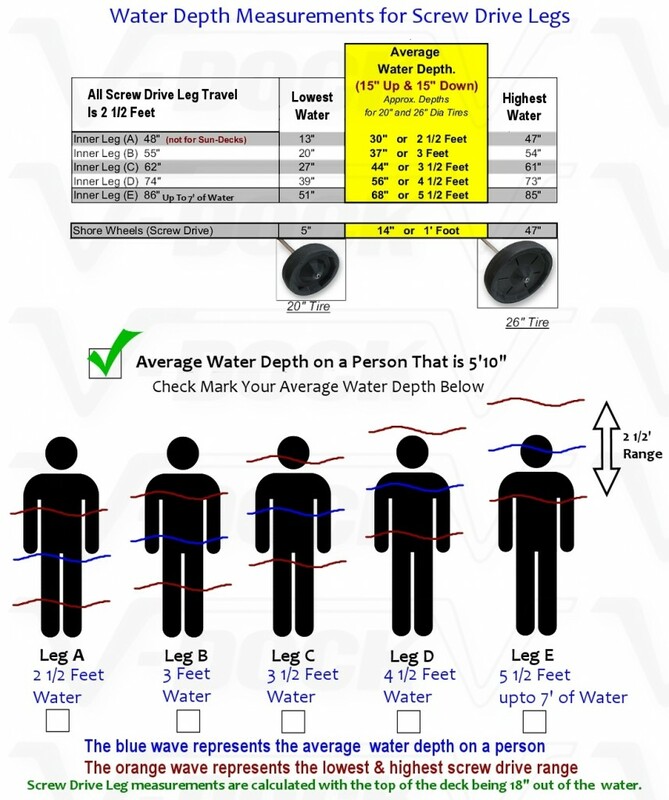 while giving you the extra height adjustment for deeper water. 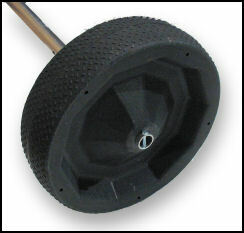 26-inch diameter tire for soft sand and muck. 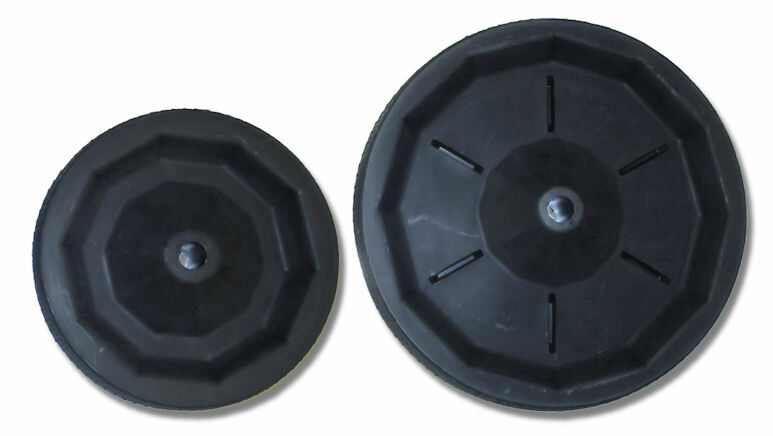 20-inch diameter tire for shallow water. Slim-line form allows for easy movement. Tires designed to fill up and drain water. Made at V-Dock’s Forest Lake facility.